C. neoformans var. grubii (C. neoformans) is an environmentally acquired pathogen causing 181 000 HIV-associated deaths each year. We used whole genome sequencing (WGS) to characterise 699 isolates, primarily C. neoformans from HIV-infected patients, from 5 countries in Asia and Africa. We found that 91% of our clinical isolates belonged to one of three highly clonal sub-clades of VNIa, which we have termed VNIa-4, VNIa-5 and VNIa-93. Parsimony analysis revealed frequent, long distance transmissions of C. neoformans; international transmissions took place on 13% of VNIa-4 branches, and intercontinental transmissions on 7% of VNIa-93 branches. The median length of within sub-clade internal branches was 3-6 SNPs, while terminal branches were 44.5-77.5 SNPs. The short median internal branches were partly driven by the large number (12-15% of internal branches) of polytomies in the within-sub-clade trees. To simultaneously explain our observation of no apparent molecular clock, short internal branches and frequent polytomies we hypothesise that C. neoformans VNIa spends much of its time in the environment in a quiescent state, while, when it is sampled, it has almost always undergone an extended period of growth. Infections with VNIa-93 were associated with a significantly reduced risk of death by 10 weeks compared with infections with VNIa-4 (Hazard Ratio = 0.45, p = 0.003). We detected a recombination in the mitochondrial sequence of VNIa-5, suggesting that mitochondria could be involved in the propensity of this sub-clade to infect HIV-uninfected patients. These data highlight the insight into the biology and epidemiology of pathogenic fungi which can be gained from WGS data. Philip completed his BSc in Applied Biology at Cardiff University in 2008. He subsequently undertook a PhD at Public Health England on the genomics, proteomics and transcriptomics of Clostridium botulinum. He spent 2012-2016 working as a bioinformatician at Public Health England, focusing on the genomics of gastrointestinal bacterial pathogens, in particular Salmonella, but also VTEC O157 and Shigella flexneri. While there he was part of the team who implemented WGS for routine typing of Salmonella. From July 2016 to December 2017 he worked on the genomics of Cryptococcus neoformans, a fungal infection typically affecting those with HIV/AIDS at the Oxford University Clinical Research Unit (OUCRU) in Ho Chi Minh City. 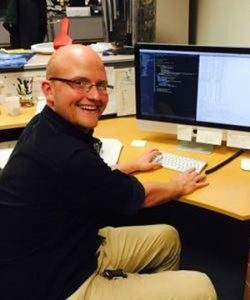 Since March 2018 he has been the Lead Bioinformatician at OUCRU, working on a variety of bacterial infections, with a focus on Mycobacterium tuberculosis. He has published more than 30 papers on infectious disease genomics, including in Nature Biotechnology, Lancet Infectious Diseases and Genome Medicine.